Whether you realize it or not, our eyes tell a lot about us. The way our eyes are seen to others demonstrates expression and emotion. If you have bags around your eyes or a lot of wrinkles, people will begin to think you might be older than you actually are. Also, the natural effects of gravity cause the skin around your eyes to sag and wrinkle, which can make you look sad, angry or tired. Many celebrities and professional models choose to have cosmetic surgery performed on their eyes first, before any other body parts. It is essential to their careers that they look younger than they are. It’s important that you look and feel your best. There are many times when we all want to look younger than we are. If you’re beginning to date again in your 30’s, 40’s, 50’s or 60’s, you want to look as young as possible, don’t you? Your eyes tend to start aging when you are in your 30’s and your eyes are the first part of the face that shows your age. Dr. Michael Gray of the Michigan Cosmetic Surgery Center and Skin Deep Spa can help. Dr. Gray can perform a brow lift, in which he makes an incision in the hairline that allows him to lift the brow. He can also use Botox to raise your eyelids if a brow lift is not desired. With these procedures he’ll take years off your look in a matter of minutes. Additionally, such procedures as the upper lid blepharoplasty (eye tuck) to remove extra skin and fat and the lower lid blepharoplasty to remove fat and skin will make dating a much easier proposition. 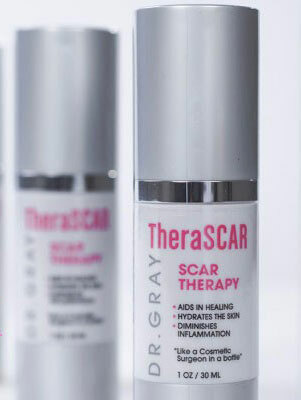 Dr. Gray can also use lasers which act like an iron on your skin to smooth the lower lid wrinkles and any wrinkles on the face. If needed, he can also trim the skin around your eyes. There is remarkably no pain to these procedures. Whether you’re getting back in the dating game or if you want to look a few years younger at an upcoming high school reunion, let Dr. Michael Gray help you look younger and feel younger. Our eyes are essential to looking young and happy. 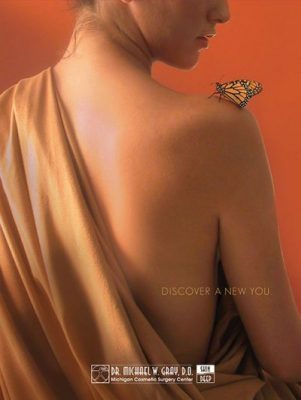 Contact Dr. Gray at www.anewyou.com today for your complimentary consultation to discuss which procedure is right for you. You’ll be happier before you know it… and your eyes will show it!